When Adriana wrote about 4 ways to reduce cell phone radiation, I became intrigued with her second suggestion, which was to buy a retro handset accessory. So, I called up the guys and dolls at Yubz for a few review units. After two weeks spent with the Yubz Retro Handset, I can honestly say that I will never hold a cell phone up to my ear if I am not forced to. Not only was I enthralled with the concept of radiation reduction by a minimum of 96%, but the Retro Handset was also oodles more comfortable and offered superior sound quality over my iPhone 4. 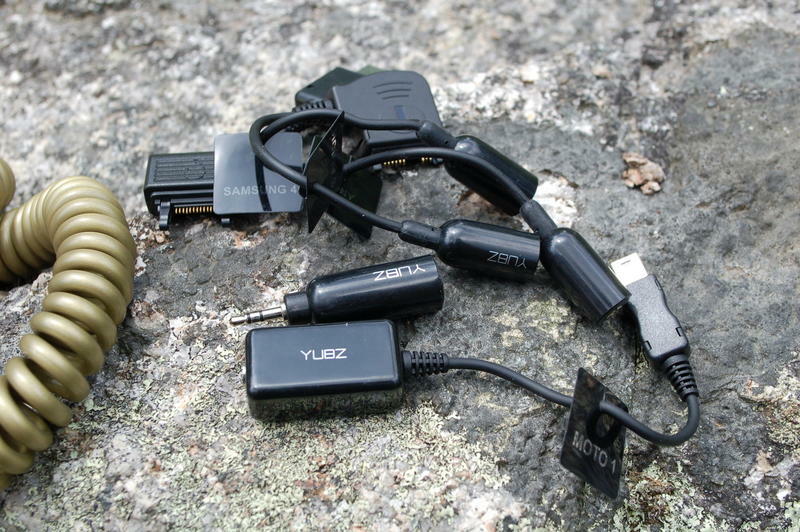 The accessory also shipped with a plethora of adaptors to accommodate BlackBerry, Sony Ericsson, Nokia, older iPhones, and even the Motorola Razr. I had to opt for the 'New Edition' in order to suit the iPhone 4. But the best part of the Yubz Retro Handset was the library of baffled looks I got from onlookers in the middle of town while I blabbed away on a telephone receiver that was connected to my pants. The only gripe I had throughout my entire experience with the accessory was its lack of covert portability, though Yubz offers an exceedingly nerdy belt holster that allows the Retro Handset to hang off of the hip. Regardless, it was a blast to make tourists assume I was the local crazy transient who talked to dancing rabbits via the machine in my pants. For home use, I cannot justify using a cell phone without the Yubz Retro Handset. It has a volume control built into the handle, as well as a convenient Accept/End call button, which made life a lot easier. 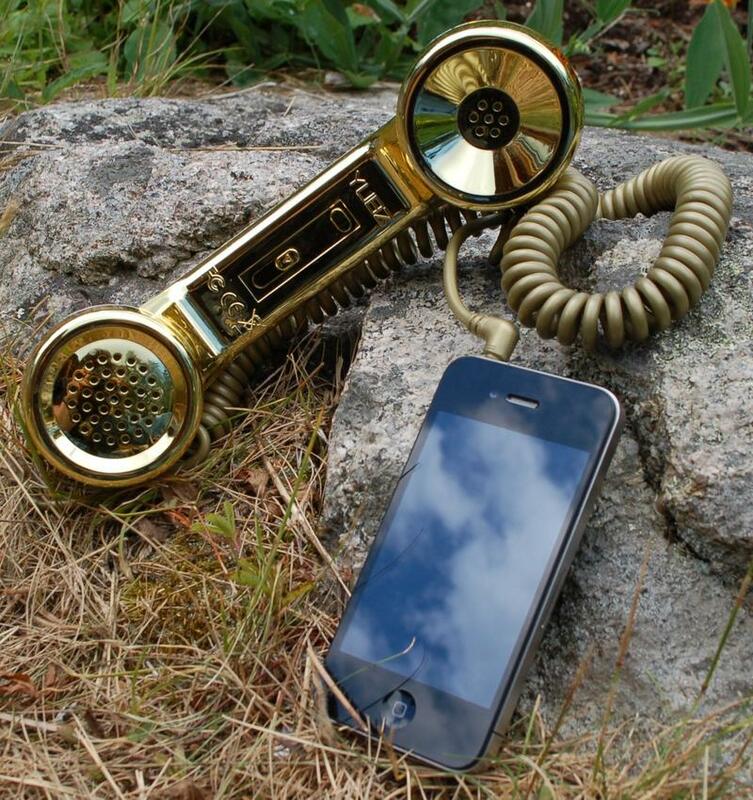 The Yubz Retro Handset could also be used as a speaker, piping over iPod, Angry Birds, and YouTube audio, though the accessory was best suited for calling. I also loved the ability to cradle the receiver between my shoulder and head, freeing up the hands so I could plunge a screwdriver into one of them and have to be rushed to the emergency room. (I really did that on Monday). In closing, I have honestly never been this jazzed about a cell phone accessory since the cheap plaid knockoff skins I used to buy for my early 2000's Nokia phone in Downtown Crossing. At $50, the Yubz Retro Handset is an essential accessory for anyone looking to slash radiation exposure, boost comfort and ease of use, and look downright awesome with a phone receiver sticking out of their pants. 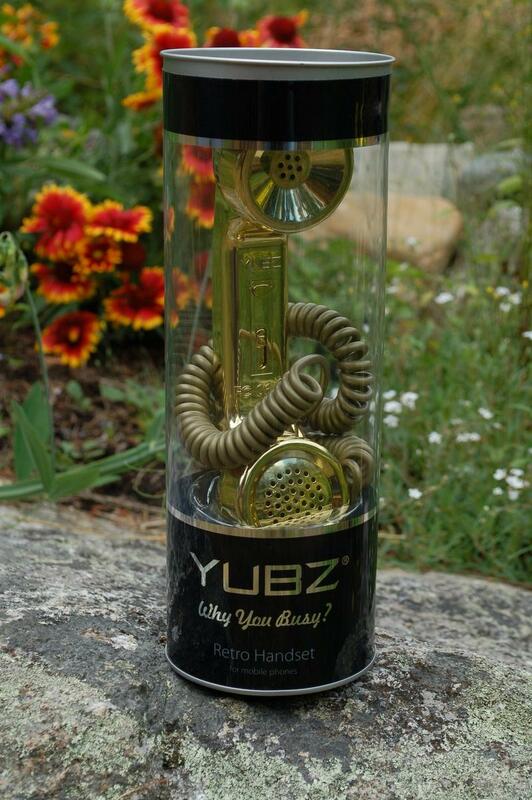 The Yubz Retro Handset is available from yubz.com and ships in a slew of bold colors, including Gold and Artist editions. And yes, there is a Plaid color option.